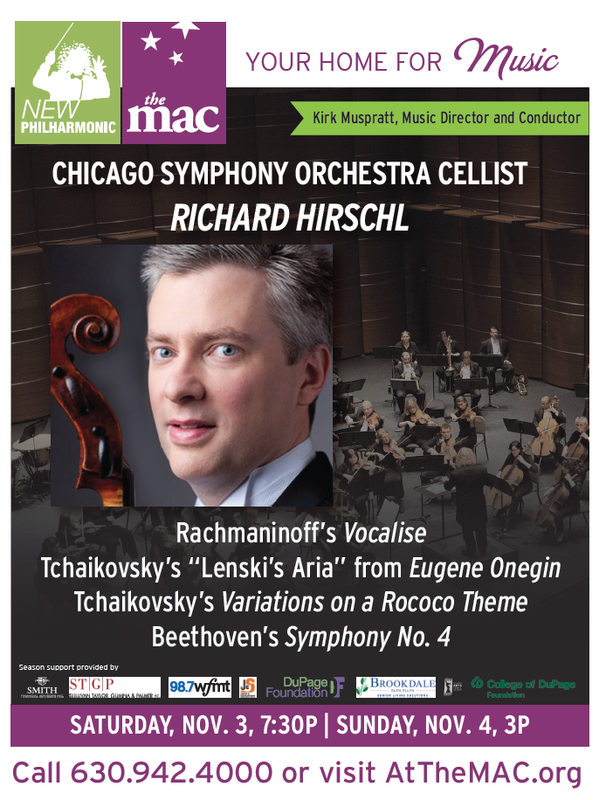 Enjoy an entire concert of rapturous melodies featuring cellist Richard Hirschl from the Chicago Symphony Orchestra, including Rachmaninoff’s exquisite song without words Vocalise, excerpts from Tchaikovsky’s The Sleeping Beauty and Beethoven’s Symphony No. 4 and Lenski’s Aria and Rococo Variations. Robert Greenberg of the San Francisco Conservatory of Music writes; If any of Beethoven’s contemporaries had written this symphony, it would be considered that composer’s masterwork.